In 2018, the Nissan LEAF went through a huge revolution. It combines a brand-new look, a significant range increase, and ton of new technology. Speaking of tech, there is plenty to choose from in the 2018 LEAF, whether you choose the base S trim or the range-topping SL. Here’s what to look out for. The 2018 Nissan LEAF S pairs its 147-horsepower electric motor to a 40-kilowatt-hour battery pack that is juiced by a 6.6-kilowatt onboard charger with a portable 120-volt charge cable. Beyond its tech-heavy heart, the 2018 LEAF S also includes an e-Pedal, Intelligent Trace Control, hill-start assist, automatic headlights, and power mirrors. Inside, the LEAF S boasts 7-inch information display, a 5-inch touchscreen, Bluetooth, hands-free texting, rearview camera, automatic climate control, power windows and door locks, a four-speaker audio system, a USB port, automatic emergency braking, and Easy-Fill Tire Alert. Want to cut charging time? Opt for the $1,590 Charge Package that adds a portable 120/240-volt charge cable and a quick-charge port. Living in a cold climate? The $450 S All-Weather Package has your back with heated outside mirrors, rear under-seat heat ducts, heated front seats, and a heated steering wheel. Moving up a notch to the LEAF SV adds a handful of extra tech in the 2018 LEAF. 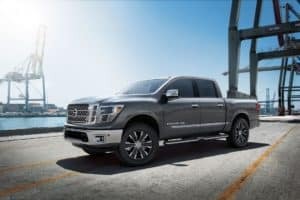 On top of the S trim’s long list of features, the SV adds fog lights, a 7-inch multitouch display, navigation, NissanConnect EV, voice recognition, Apple CarPlay, Android Auto, adaptive cruise control, Nissan Intelligent Key with push-button start, SiriusXM, a six-speaker audio system, HD Radio, Bluetooth audio streaming, and steering-wheel-mounted controls. Like the S trim, the SV trim has a cold-weather package. This $900 system includes all the same upgrades as the S All-Weather Package but also adds a hybrid heater system to help extend the LEAF’s range with the heater on. The SV Technology Package runs $2,200 and adds a massive list of features. These bits include the portable 120/240-volt charging cable, electronic parking brake, LED headlights and daytime running lights, ProPILOT Assist, high-beam assist, auto-dimming rearview mirrors, universal garage door opener, eight-way power driver’s seat, automatic emergency braking with pedestrian detection, blind-spot warning, rear cross-traffic assist, and lane-keep assist. 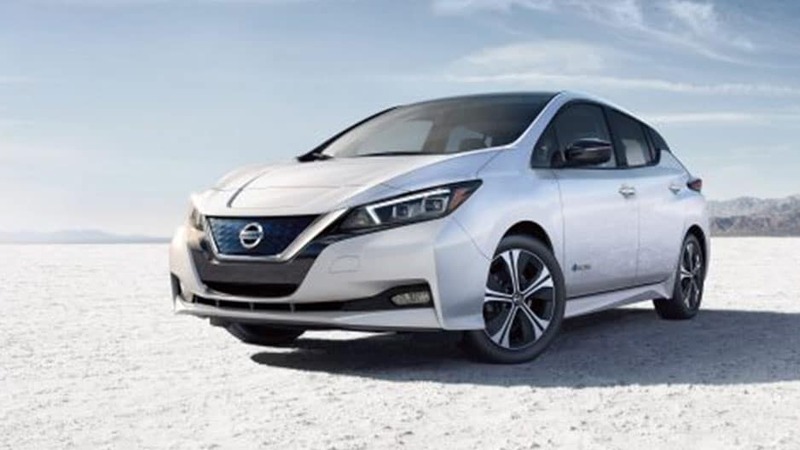 The Nissan LEAF SL builds upon the SV trim with even more tech. The upgrades include a 120/240-volt charging cable, LED headlights and daytime running lights, surround-view monitor, mirror-integrated LED turn signals, heated mirrors, seven-speaker Bose audio system, blind-spot warning, automatic emergency braking and rear cross-traffic alert. The SL Technology package, like the SV Technology Package, adds extra tech to this already-well-equipped LEAF SL. 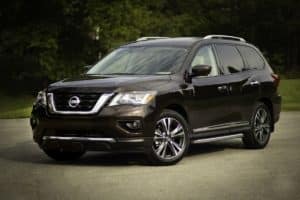 This $650 package adds ProPILOT Assist, pedestrian detection, lane-keep assist, electronic parking brake, and high-beam assist. 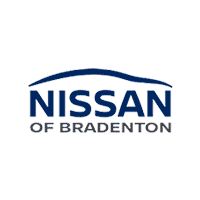 Come get you tech-infused 2018 Nissan LEAF today here at Garber Nissan new car showroom serving Bradenton, Florida. Can’t make it in today? Check out our online inventory.